Take your favorite music, podcasts, or audiobooks with you wherever you go with the Multi-Functional Bluetooth Speakers by Ematic. Simply link via Bluetooth with your smartphone, laptop, or tablet, and enjoy as these high-quality speakers envelop the room in the crystal-clear sounds of your choosing. Fit with a carrying handle, you can take these speakers with you on-the-go with ease. With an eight-hour battery life, you can plug in with the Micro USB Charging Cable to replenish the rechargeable battery, then set off on an adventure with your Bluetooth speakers in hand. These speakers also serve as a hands-free calling device, allowing you to work around the home and chat with your friends at the same time. Take your favorite music, podcasts, or audiobooks with you wherever you go with the Multi-Functional Bluetooth Speakers by Ematic. 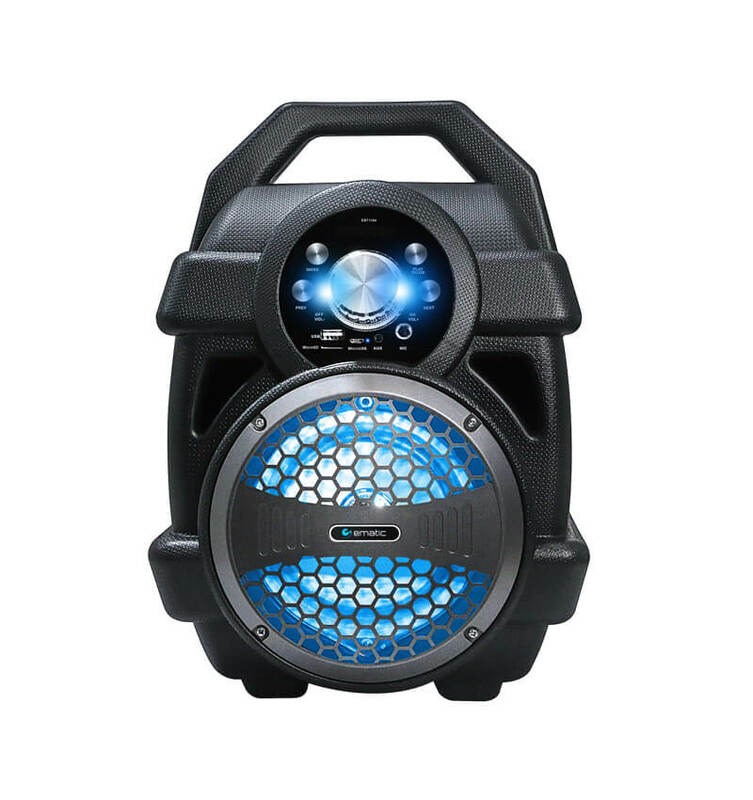 Simply link via Bluetooth with your smartphone, laptop, or tablet, and enjoy as these high-quality speakers envelop the room in the crystal-clear sounds of your choosing. 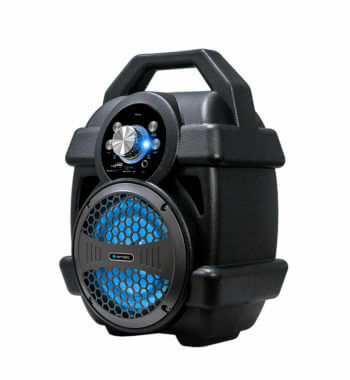 Fit with a carrying handle, you can take these speakers with you on-the-go with ease. With an eight-hour battery life, you can plug in with the Micro USB Charging Cable to replenish the rechargeable battery, then set off on an adventure with your Bluetooth speakers in hand. These speakers also serve as a hands-free calling device, allowing you to work around the home and chat with your friends at the same time. The perfect aesthetic for the home, office, or lounge, the Multi-Functional Bluetooth Speakers by Ematic brings contemporary sound to an updated retro look. Perfect for the kitchen counter, coffee table, nightstand, or anywhere, the Multi-Functional Bluetooth Speakers by Ematic is exceptionally displayable. 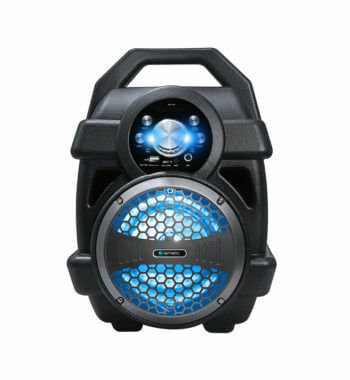 Rechargeable 2400mAh Battery: A playing time of up to eight hours.